Congratulations to TEAS 2011 winners! Dr. Esther M.K. Cheung is dedicated to teaching and research on Hong Kong cultural studies, contemporary Chinese poetry, fiction and film, critiques of modernity and postmodernity, as well as visual and urban culture in the context of globalization. She is currently Chair of the Department of Comparative Literature and Director of the Center for the Study of Globalization and Cultures at University of Hong Kong. She pioneered the filmmaker-in-residence scheme which was first set up in the Department of Comparative Literature and later adopted by the university as the University Artist Scheme (UAS) administered by the Arts Faculty. 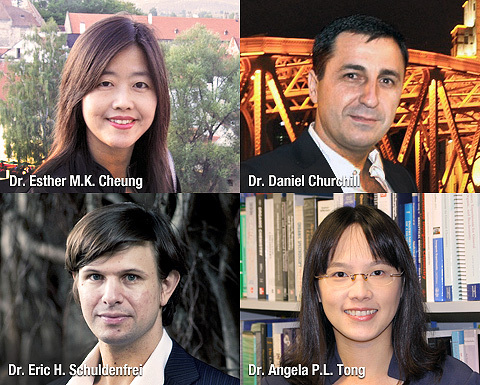 Dr. Cheung is now a member of the UAS committee. Throughout the years, she has designed various courses with experiential learning components which include meeting filmmakers and writers as well as multi-media creative projects. With past successes, she is now leading the department to enhance the pedagogical approaches to experiential learning which will be expanded to other programmes in the university. Dr. Cheung is the author of Fruit Chan’s Made in Hong Kong (HKUP) and In Pursuit of Independent Visions in Hong Kong Cinema (in Chinese, Joint Publishing), editor and coeditor of four anthologies which include The Visual Memories of Stanley Kwan (in Chinese, Joint Publishing), Between Home and World: A Reader in Hong Kong Cinema (in English, Oxford UP) and Hong Kong Screenscapes: From the New Wave to the Digital Edge (HKUP). Her essays have appeared in Cultural Studies, The International Journal of the Humanities, Studies on Asia, Jump Cut, China Perspectives and anthologies on Hong Kong/Chinese cinema, literature and cultural studies. 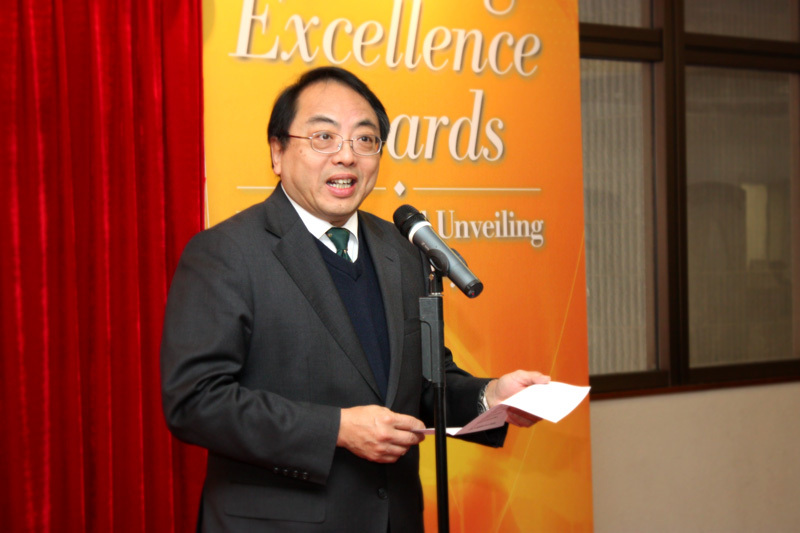 I am honoured to be the recipient of the HKU 2011Outstanding Teaching Award. Currently, I am the Head of Division of Information and Technology Studies at the Faculty of Education. The pursuit of excellence in teaching and research led me to the University of Hong Kong 8 years ago. Originally from Serbia, I received education in areas of Mechanical Engineering, Education, Multimedia Design, Modern Languages and Law, and have worked as an education professional in education institutions in Australia and Singapore. I have contributed to the development of teaching and learning at HKU through a variety of roles, including as a classroom teacher, RPG supervisor, director of academic programmes, mentor of colleagues, University Development and Teaching Development projects, and contributing to the work of key committees at HKU, such as the E-learning Working Group. In 2008, I received the Distinguished Teaching Award from the Faculty of Education and was elected to lead the Division of Information and Technology Studies in 2010. Innovation is at the center of my teaching philosophy. Instilling the drive to succeed in our era of Globalization is critical for our students and for society. To achieve this, we must develop, not just students who are strong in disciplinary knowledge – strong thinkers and lifelong learners – individuals equipped with the 21st Century literacies needed to survive and thrive in the digitally empowered World. Innovative pedagogical approaches supported by new and emerging teaching tools is my preferred way of stimulating and developing the minds of the current generation of students. In my courses, students are provided with many opportunities to explore their ideas through engagement with cutting–edge technologies that brings their creativity and critical thinking to higher levels. As a teacher, I am continuously trying to remain relevant, to upgrade my knowledge, to reflect on my experience of teaching and the emerging needs of students to provide the most productive teaching environment and activities. For me, innovation is critically important, and my students strongly appreciate my modeling of best practices. My teaching is strongly guided by my students’ needs and demands, which are most often identified through carefully designed formative evaluation methodologies that I consistently practice to drive forward the achievement of learning outcomes. In my view the alignment of learning outcomes, pedagogical strategy, and assessment/evaluation of learning is a critical to effective instruction. Dr. Eric Schuldenfrei is a designer focusing on the evolving relationship between urbanism, architecture, and art. Architectural projects completed in collaboration with Marisa Yiu have been featured in many international biennales: ‘Urban Pastoral’ for the Venice Biennale; ‘Human Motor’ in Ljubljana; and ‘Mediated Labour’ for the Hong Kong-Shenzhen Bi-City Biennale. Past projects include an art installation commissioned by Agnes Gund, President Emerita of the MoMA in New York. Dr. Schuldenfrei received a Doctor of Philosophy degree from the University of Cambridge and has previously taught at Princeton University; Columbia University; and at the Architectural Association. Schuldenfrei served as the Curator for Exhibition, Education, Film, and Media for the 2009 Hong Kong-Shenzhen Bi-City Biennale and has recently published Instant Culture, a book co-edited with Marisa Yiu. He has presented at the International Design Alliance congress, Harvard University AsiaGSD lecture series; Columbia University; the University of Cambridge; and at the V&A museum in London. Dr. Angela Tong has been playing an active role in promoting the quality of undergraduate teaching and in providing an up-to-date and holistic chemistry curriculum to students. She has made continuous effort in course and curriculum development to enhance teaching and learning. Dr. Tong has also been instrumental in the research and key in driving departmental curriculum reform. Her tremendous effort has helped to direct how the 4-year chemistry curriculum could evolve to equip students with knowledge and skills to meet the dynamic and ever-changing challenges in science and technology. She has been previously awarded with the Award for Teaching Excellence 2010-11 by the Faculty of Science for her outstanding teaching performance and the continuous efforts she has put in arousing students’ learning interests. The Selection Panel has been deeply impressed by the achievements and contributions of the awardees as they have all demonstrated clear evidence of attainment in excellence in teaching and engagement with students and their learning, and curriculum design, renewal and innovation. The awardees will be honoured at the annual Award Presentation Ceremony for Excellence in Teaching and Research, which has been scheduled for Thursday, February 9, 2012; and their names will be posted for a period of five years on the Teaching Excellence Awards Honour Board in the Main Library. Many congratulations! I would like to thank other members of the Selection Panel for their advice: Professor Michael J. Worton (Vice-Provost of the University College London), Professor Amy B.M. Tsui, Professor Michael T. Prosser, Professor L.S. Chan and Mr. Ernest Cheung (student representative). Last but not least, I wish to express my deep appreciation and gratitude to all the other nominees for the TEAS awards for their deep devotion and sustained contribution to promoting excellence in teaching at this great University. I look forward to seeing you all at the Ceremony on February 9, 2012.